First up, the white chocolate “Club Med” bread. 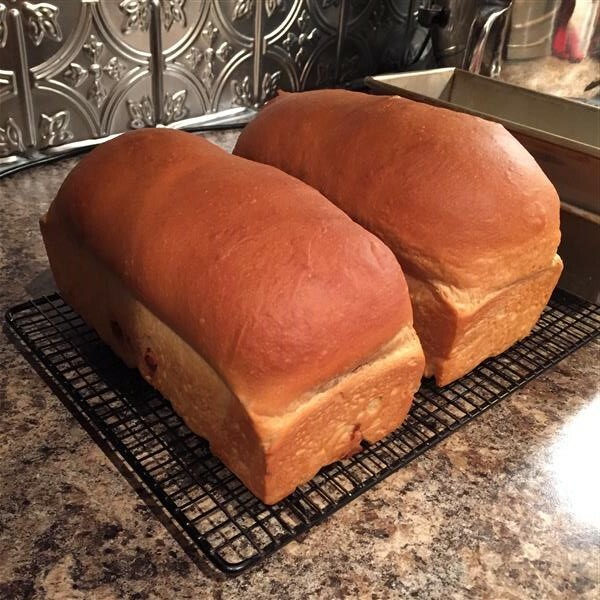 I took a look at the recipe and decided that it was pretty much the same as Rose’s white sandwich bread, which I make at least once a month. So, I made a batch of that instead, meaning that I would get two loaves out of it. One to put white “chocolate” in, and one to leave plain, so that it can be used for sandwiches. That first picture shows the cracks in the flour layer starting to form, from the sponge bubbling up from below as it ferments. 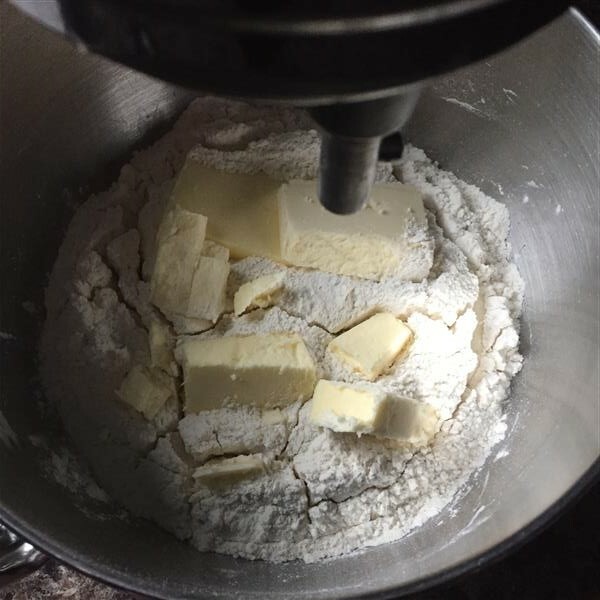 I always throw the butter in right away, on top of the flour, so that it can come to room temperature during the first fermentation step. Salt goes in at this stage too, so that I don’t forget it. 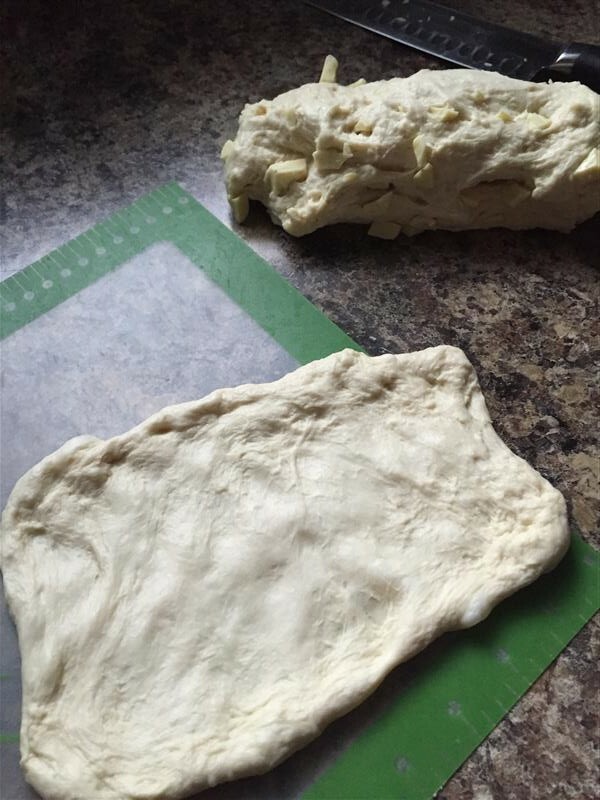 Knead the dough, then let it rise before shaping. Once the dough’s risen, you need your “chocolate.” Sorry, I just can’t accept the use of the term “chocolate” for this stuff. Sure, it’s got the right texture, but it sure isn’t the same thing by taste. Yummy, but not chocolate. 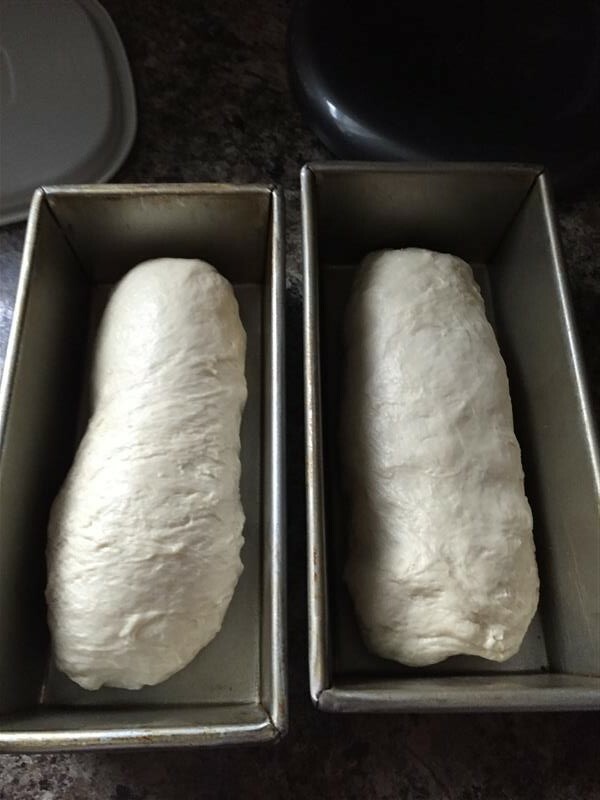 There’s my two loaves of bread, ready for proofing. Plain white bread on the left, white chocolate club med bread on the right. Here, I’ve switched them, so you can see a little bit of the darkened white chocolate on the outside of the lower portion of the loaf on the left. Verdict: Jay said “The bread’s really good. 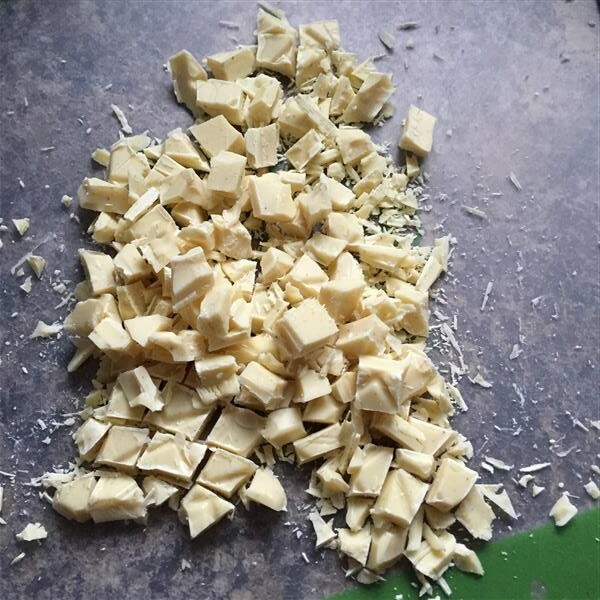 If you’re looking for feedback, I think the only thing you could do to improve it is to leave out the white chocolate.” “You know that’s the same bread I make regularly, right?” “Yep.” I’ll snack on the rest of the loaf for breakfasts, I think. Ok, that one’s done. On to the “cookie” strudel. Why cookie? I don’t know. 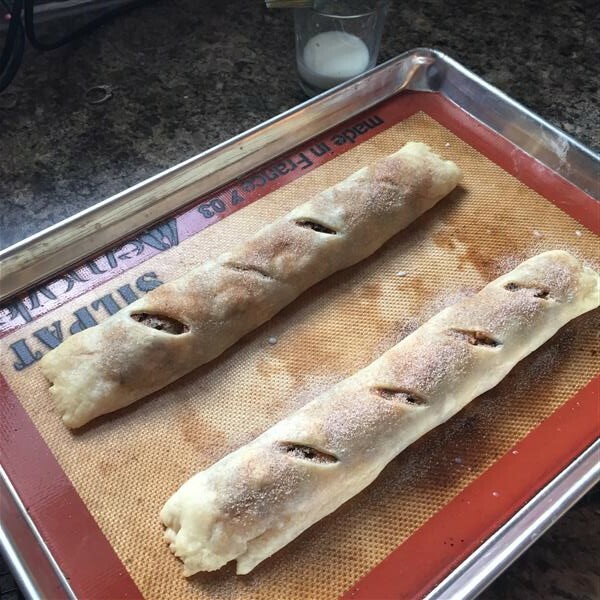 Maybe because it’s a strudel, cut into bite-sized pieces? I had to dig my unsalted butter out of the freezer, so I thawed it in the microwave. I guess I went a bit too far, and ended up with melted, not soft. Fortunately, it didn’t seem to damage anything. Putting this together is like baking cinnamon rolls, but with different filling. 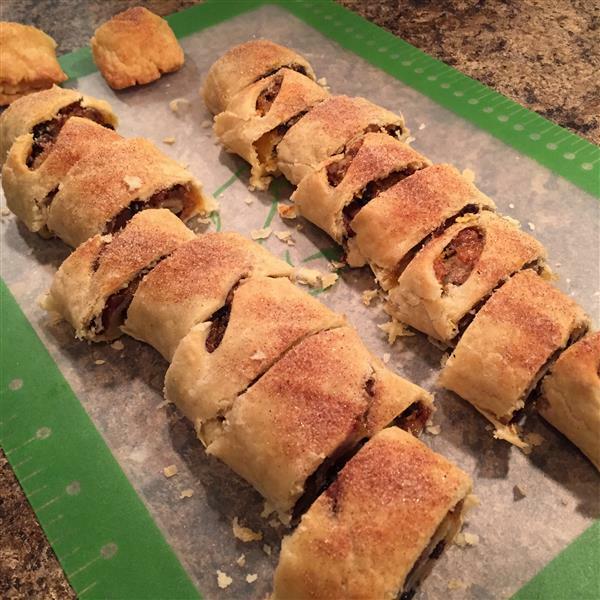 Roll out the dough, smear it with apricot preserves (or lekvar, which fortunately keeps forever, since I still had some from when I was recipe testing for this book that’s been out for a year now), sprinkle it with currants and chopped pecans, then roll it up. Partway through baking, take it out of the oven, brush with milk, then sprinkle on some cinnamon and sugar. I found this step a little frustrating, because the milk seemed to either evaporate or be absorbed almost instantly, before I could sprinkle on the sugar mix and have it stick properly. Oh well. Back in the oven to get golden brown and delicious. After letting it cool/rest for 5 hours (recipe says 6, but I’m impatient), cut it into pieces. Jay says he thinks he’d really like it if it weren’t for the currants. I took the remainder to work today and shared with one of my teams. We had a really productive brainstorming session this morning, and I thanked them for their participation at the end of the meeting. One of them said “The bribe helped.” 🙂 They all seemed to really enjoy them, as did some of my fellow POs, when I brought them the leftovers. All gone, now! 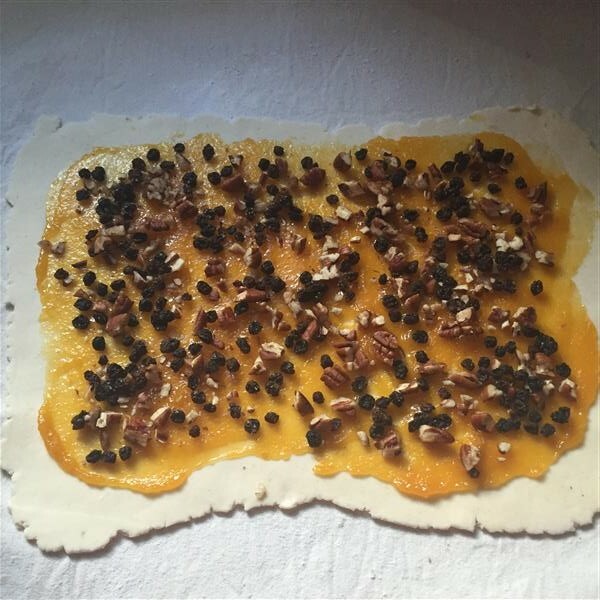 Posted on October 27, 2015 by KristinaPosted in The Baking BibleTagged apricot lekvar, currants, strudel, white chocolate. 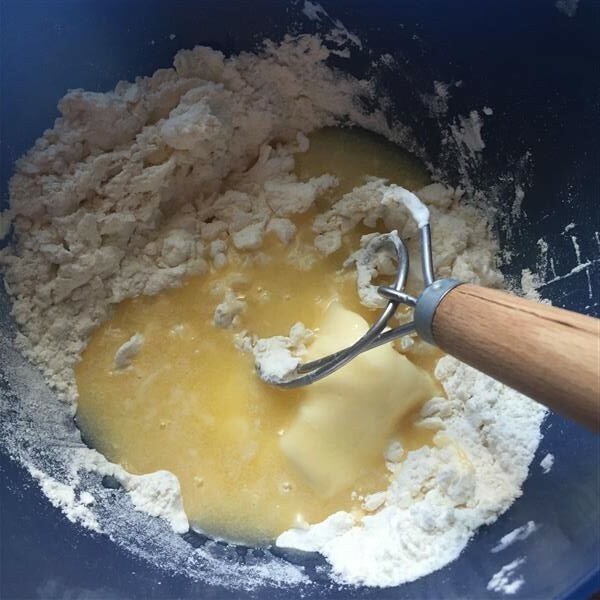 You have been busy – both baking and recreation. Happy anniversary! It sounds like you had a great time. Congratulations on nine years. What fun going to Las Vegas! I’ve always wanted to see Cirque du Soleil. They seem to defy physics. Both your bread and strudel look delicious. Maybe I’ll take Jay’s advice and leave the currents out of one log for my brother who isn’t fond of their raisin cousins. I like your butter and salt tips for the bread. 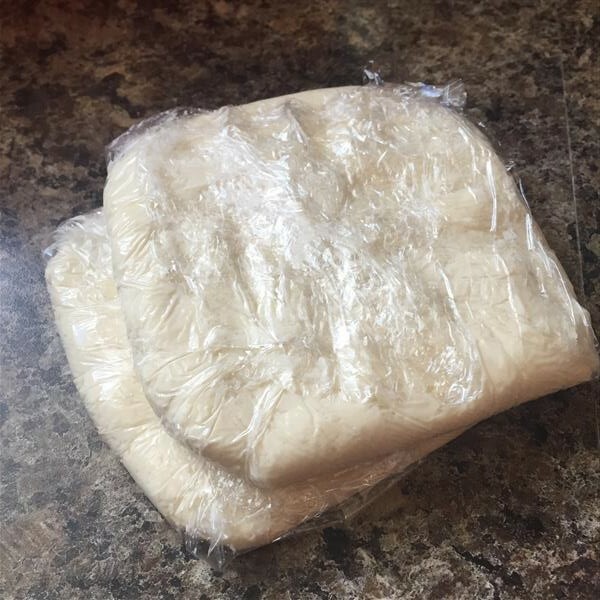 Your bread looks wonderful too! I have lots to catch up!